Bajaj Pulsar 200 NS is expected to be relaunched early next year. 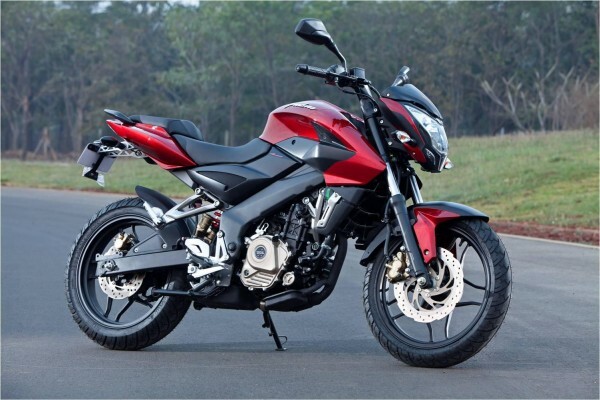 Bajaj Motorcycles had suspended the production of the Pulsar 200 NS earlier this year. The first motorcycle to come with the newly developed engines afet the Bajaj-KTM JV was the Bajaj Pulsar 200 NS. It was discontinued to make way for the AS200 and RS200. Indianautosblog reports that the naked sport is being tested with a fuel injection system. The new motorcycle is expected to be launched early next year but not at the Auto Expo. Bajaj is not participating at Expo this year due to hikes prices. The 200 NS FI will be powered by the same engine which does duty on the RS200. The 199.5 cc, liquid-cooled, four valve, triple spark plug, fuel injected engine produces 24.5 HP @ 9,750 RPM and a peak torque of 18.6 NM @ 8,000 RPM. The Bajaj Pulsar 200 NS FI is already being exported to foreign markets such as Turkey. However, it produces the same amount of power which the carburettor equipped engine produced. The non FI engine produces 23.52 HP @ 9,500 RPM and a peak torque of 18.3 NM @ 8,000 RPM. This engine is still seen in the AS200. It lefts to be seen that Bajaj equips the 200 NS with which of these variants. The 6-speed transmission is not expected to get any major update. The 2016 Bajaj Pulsar 200 NS FI will also get dual tone graphics. The Pulsar logo is positioned on the fuel tank fin giving up its position on top of the fuel tank. The Naked Sport when relaunched will be priced more than the AS200. It will sit between the AS200 and RS200. It will still continue to be a cheaper alternative for the KTM Duke 200. India meets the new Indian. Coming 2014!! A child with only Cars and Bikes as his toys. Dreams about driving every car on this planet during night and wakes up to work for it.